Research on the impact of relationship therapy over the past decade shows that 70 percent of couples that seek counseling benefit from it. But other stats reveal that not many struggling couples get help. Why is that? 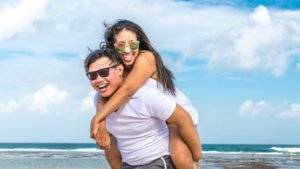 A team of researchers studied seven couples seeking therapy to find out what hangups they had about getting expert help with their relationship problems. One thing is clear: therapy can help, but couples need to get on the same page before seeing a counselor. Who can benefit from counseling? Before we get into what stops people from meeting with a relationship therapist, let’s talk about who could benefit from it. Should every couple seek professional help, just to make sure their relationship is in ship shape before taking it further? That’s not necessary, said Max Abeln, an individual and relationship therapist with Cabot Psychological Services in Minnesota. Not every couple needs counseling, but if you and your partner are experiencing prolonged or repeated problems, counseling could be something to explore. What holds couples back from seeking help? For couples who do seek professional help, research suggests talking with a therapist is often beneficial. Even the first step of making the decision to see a counselor as a couple can have healing effects on the relationship, a research team, headed up by Kenneth J. Parnell of the University of Northern Colorado, found. Because of a social stigma around seeking therapy, it can be hard to admit that you and your partner need help. The researchers found that it was often the female partner who was first to bring up the option of couples counseling. Then, because they were worried that going to counseling meant their relationship had failed or that family members or friends would judge them, men often withdrew when their female partners suggested therapy, refusing to consider it. The research suggests that fear causes couples to delay counseling, allowing the problems to get worse and the person who initiated a discussion about therapy to feel more and more frustrated. Many times, the partner who wants to go to couples counseling will settle for individual therapy because their partner won’t agree to go. This can lead to partners breaking up before they agree to see a professional together. Another study found that more than 70 percent of couples who separate without seeing a therapist reported their partner was unwilling or it was too late to start seeing a therapist together. Parnell’s research team found that, if the male partner was resistant to therapy at first, worsening problems would often cause him to reconsider. And though there are typically differences along gender lines about who will bring up the option of therapy, men and women are “equally cognizant and emotionally aware” once they start treatment, according to another study. Couples also struggle when they feel differently about the problems within their relationship. Maybe one person feels like they’re being forced to get help when they are happy with the way things are, or that they’re not doing anything wrong and that the problem lies with the other person. Many couples who do start therapy can’t come to consensus on the reasons they’re there, research suggests. Maybe they don’t agree on what the problems within their relationships are, or if any exist at all. To make the most of therapy, it’s important to be on the same team. Other research suggests that couples who enter therapy with “mixed agendas” or “commitment uncertainty” are more likely to end their relationship after going through therapy. The more ambivalent couples feel about getting help, the less likely they are to be satisfied with their relationship once they’ve gotten treatment and the more likely they are to quit therapy early. It’s important to remember that both people will benefit from the relationship being stronger and healthier. 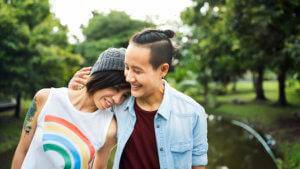 “I think the most common misconception people have (going into couples counseling) is that if their partner would just make certain changes then all would be well,” Abeln said. In reality, it takes cooperation and commitment on both sides to reach a better place in a relationship. The researchers found that many of the partners they studied were unsure if therapy would actually help—either because they saw their problems as too insignificant or too immense. Others thought they shouldn’t need therapy because they hadn’t been together long enough—in their minds, couples who had been together less than five years shouldn’t be having problems serious enough to require professional help. But in all these situations, the couples were allowing their interpretations of what is socially acceptable to determine whether or not they should seek help, rather than their actual problems or happiness in the relationship. Every relationship has its problems. If you need outside help to solve them, that’s okay. “Pretty much anyone who has a willingness to engage in self-reflection and gain a deeper understanding of the dynamics that affect their relationship will very likely benefit from couples counseling,” Abeln said. Some of the couples in the study became frustrated in their search for a couples therapist. If you’re seeking relationship help, take the time to research your options. Seek out recommendations online and from people you know and trust. Remember that the first therapist you meet with might not be a perfect fit. Are These 4 Communication Mistakes Hurting Your Marriage? Could ‘Living Apart Together’ Help Couples Thrive? 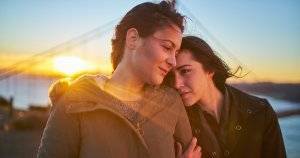 Why Do ‘Mixed’ Couples Face Discrimination?